The introduction of substations into the marina and recreational vehicle market allows Eaton to be your complete marina and RV park electrical products supplier. 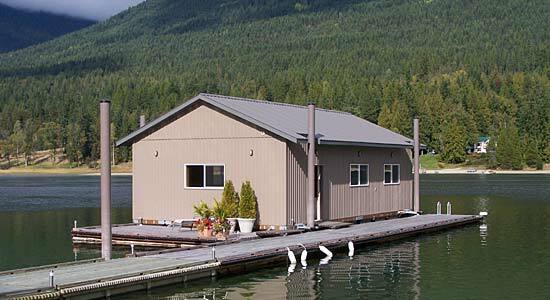 We are able to assist in the design and layout of your marina or RV park electrical system from the primary service provider to your power pedestal. Our substations are designed for any coastal or inland environment and are constructed with powder coated stainless steel NEMA 3R housing cabinets. 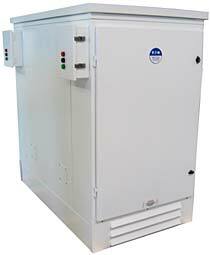 All substation cabinets come with our limited lifetime warranty. The substation ventilation is designed to optimize air circulation over and around the transformers and through the panel compartment so that the substation operates at lower temperatures. Substations come equipped with temperature controlled cooling fans for exhausting hot air from the cabinet and solar shield. In addition, substations are available with a doublewalled cabinet and solar shield which allow for cooling of both the exterior surface of the cabinet and the internal components.